The Dunlop DC brick is more than just a power supply, this box is a power conditioner that provides ultimate protection against power shorts and overloads. 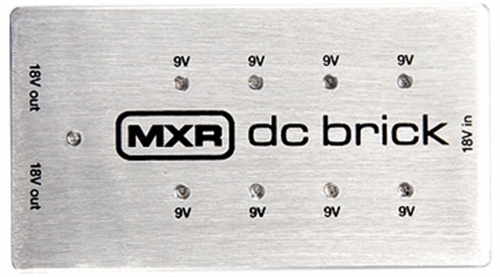 The Brick supplies predictable voltage at all times, keeping your effects consistent and safe. Even at full load, you'll enjoy the quiet and cool operation of a fully regulated power supply. Power up to 10 pedals.